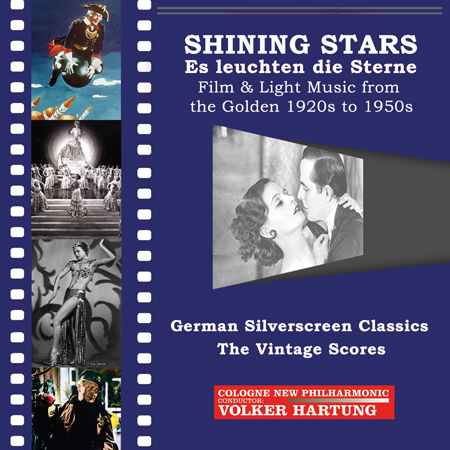 New Album: Shining Stars … Es leuchten die Sterne - German Silver Screen Classics! On this 2-Set-Album you are listening to recordings of German Film and Light Music from the Thirties to the Fifties of the last century. The magic word of the jazz music at the time was SWING. This music found its way into the sound tracks of the first 'Talkies' and Shows since 1929 in Berlin. Most scores of these songs had been lost since WW II and could only be recovered by great efforts. After more than 80 years, this music is now again performed with its original arrangements and delights the ear of the listener with its amazing melodiousness and the magic of sound.